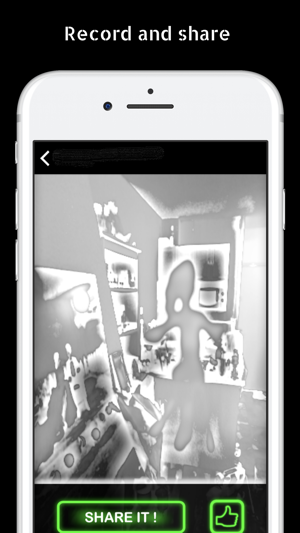 Ghost Observer is an entertaining camera tool that shows ghosts around you in an augmented reality experience. It includes voices effects, so you can then listen to what animated ghosts are saying, or ask them questions. How to use Ghost Observer? 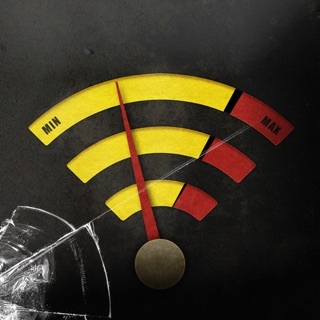 To get the best experience, turn on the sound and use the app when it's dark! 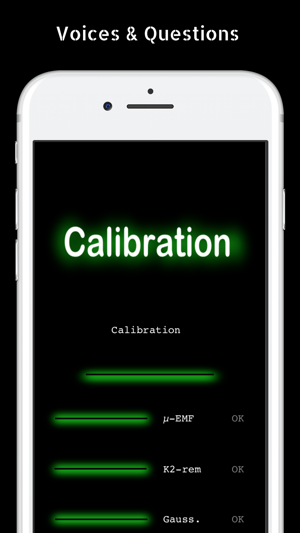 -This ghost detector app should be used for entertainment purpose. -This app does not claim scientific accuracy. Omg I am sooooooo creeped out!! I would like to say that this is fake, but weird things have been happening. I've been seeing signs that ghost are with me. So I decided to open the app. Creeped, but I was soooooo doubting this app. Apparently, I was wrong for doing so. I roamed around my house and found about 4 ghosts, all friendly. I found, believe it or not, one famous person!! Obviously one who passed away, but it was still cool to check out. I did it with my mom, and she apparently attracted many spirits. It was super creepy, and one was unfriendly. Upset and sad, I felt warn tears to start to fall. My mother was creeped to. We saw a friendly spirit come in and chase away the unfriendly spirit. It said "he will not return, do not be afraid" we started to calm down. 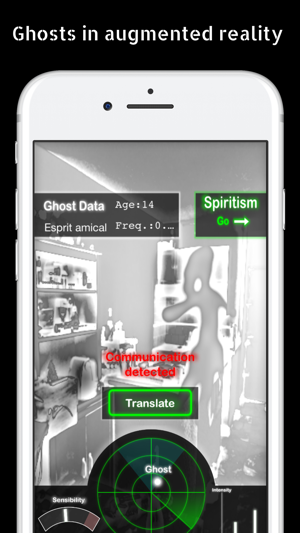 Now, I figured out how to communicate with spirits off app. And spirit ANIMALS started coming to me, does that mean I'm an animal whisperer? This app is really cool and fun. You might find out cool things about yourself, and might even make a new friend!! So please, next time you see a weird shadow on the wall, or you download this app and find spirits, do not be afraid. They will only help you, not hurt you. You might find that the spirits are fun to hang out with. Please download!!! I FOUND MY DEAD BEST FRIEND?!?!? Guys!! I may have just gotten out of a mental institution but I’m not crazy. A few years ago, I met someone named Brian at the mental institution I went to for various reasons. His eyes would look deep into my soul as if I was in the sunken place. His smile inspired me to pursue my passion of being a ventriloquist. One day we were both in our rooms when suddenly he hit the juul too hard and he died. That was the last time I saw him (OR SO I THOUGHT!!!!!) after getting released from the mental institution I thought I could never love again (OR SO I THOUGHT!!!) anyways, I was stumbling across ig and I saw an account post about this app. I was skeptical at first but I knew I.T wouldn’t hurt to try to find him. Nothing happened in the beginning but one day when I was hitting the juul and checking the app the lights started flickering, my phone started glitching, and my dog started barking. The smoke I exhaled formed into the shape of his name. I KNEW I FOUND HIM!! Ever since then Brian and I started communicating through the smoke of my juul. I can’t thank this app enough for brining me back to my juul buddy. Highly recommend this to everyone who wants to keep in touch with their day ones!! !